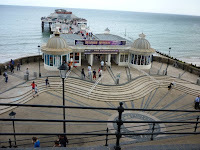 After the incident of the washing machine and the flood we took a trip up the coast to Cromer. Here we found a town which doesn't seem to have changed a great deal since a day trip to the beach twenty years ago! 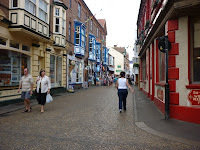 We parked the car at the high point on the Cliffs and then walked gradually down the hill into the town. Here we wandered around, bought some lunch, and then walked back up the cliffs again. In the afternoon I took a trip to nearby Horsey Windpump. 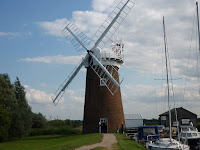 This is a beautiful windmill which worked as a drainage pump for the Broads. 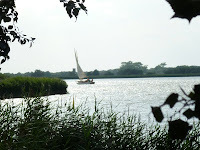 The views from the top are quite stunning as is the surrounding area of the Broads.